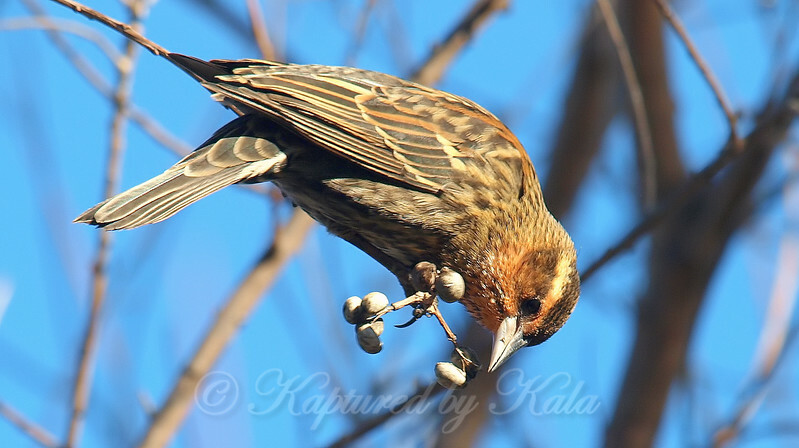 This time it was a female red-winged blackbird chowing down on the Chinese tallow berries. She was gobbling them so fast that most of my shots had a blurred head but I did manage to get this one where she paused for a second. All the birds really seem to love these.